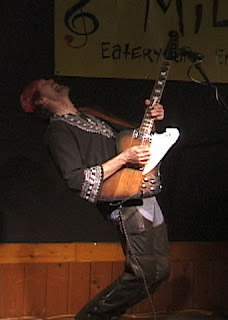 Paul Coombs is a Blues veteran of the local scene. He's played as part of the Big Trouble Band and as a solo performer. Recently, he performed with the great trio, Blueswinder. 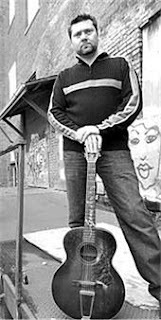 Paul's very versatile - great with old-fashioned rockin' blues but can also do wonders on the acoustic end of the spectrum. Click here to listen to Blueswinder samples. Click here for a numer of his You Tube videos (mainly acoustic). Click here to order the Big Trouble Band CD, In Deep. Click here to order his solo CD, Feeling Better. 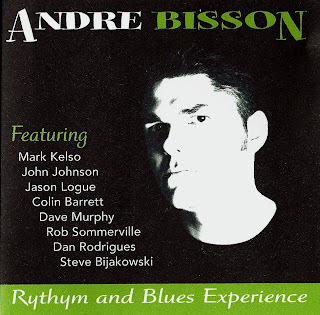 Andre Bisson released his new CD, Rhythm and Blues Experience at a great release party on April 19 at the Royal Hamilton Yacht Club. The disc is a great gumbo of blues, jazz, soul and more. You can listen to samples at his MySpace page. Along with 9 great original compositions, Andre and his large band performed an interesting soul-filled version of Neil Young's Heart of gold. He really made it his own. The CD is available at his shows and at CD Baby as a physical purchase or download. Click below or here to view a video on the making of the CD. The Fat Cats are a local band with a lot of history. 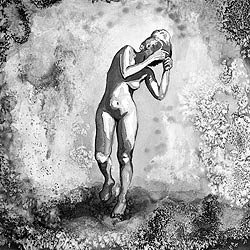 Since 1993, the band have been through a number of lineup changes but have managed to release two great albums: Daredevil and Cruelty's cure. The Fat Cats' music is a great mix of folk rock, a bit of country, roots, jam band stylings and more. Click here for their MySpace page.Click here for their Facebook page. It is with regret and sadness that we announce the passing of William George Peer (aka Roadkill Bill). He was a great local country musician beloved by many. Suddenly on Saturday, April 14. 2009 in his 59th year. Best friend and husband to Janice (Donaven) Peerfor 29 years. Loved father of Laura (Mike) Littlewood, Charlotte, Jessica and McDuff ( the family dog ). Dear Grandpa of Zara and Keely. Predeceased by his parents Fred and Emma Peer. And loved by his brothers and sisters Jack ( Donna ) Peer, Anne ( Andrew ) Dicerni, Lois Lister and Jane Book. Loved by his mother-in-law Joyce "Roz" Donaven, His brothers and sisters-in-law, nieces and nephews and great nieces and nephews. Bill Had an immense love for hillbilly music and sprint car racing and will be missed by his many friends in both circles. The family Would like to thank all of his doctors and staff at St. Joseph's Dialysis unit. Cremation has taken place. 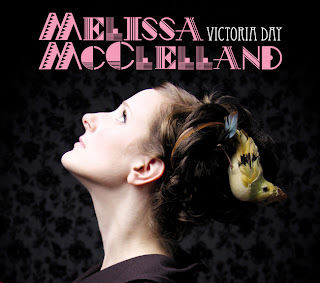 Local Singer/Songwriter Melissa McClelland released her newest CD, Victoria Day on April 14th. 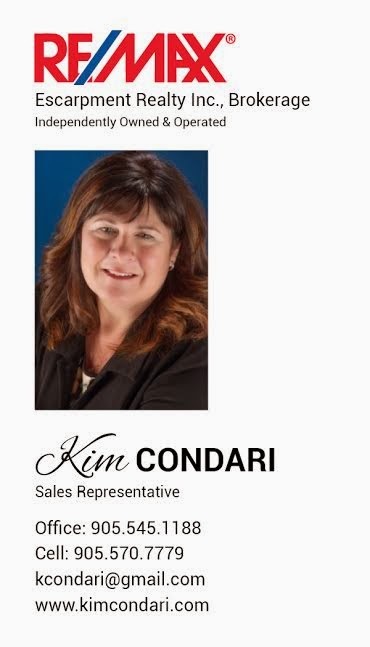 According to her website: "The songs capture all of the beauty and charm of the girl next door while lacing the punch at the sock hop with home-made moonshine." Dan Medakovic is an incredible singer/songwriter from Hamilton who adds everything from cathcy hooks, soft guitar, deep lyrics, and more to his music. Dan's CD, Honeybucket (produced by Ray Materick and featuring sax by Sonny Del Rio) is a great mix of energetic songs and slower tunes. The musician's also the owner of Silver Studio. On top of all that, he's involved in Design Hope, an organization that helps the homeless and comes out with great mixed CDs featuring original music by local folk/blues artists around Christmas time. Click here for his MySpace page. Click here for his Soundclick page. Dundas born musician Ben Somer, released his new CD, the Last One at Club Absinthe on April 9. The songs on the album have a great edge to them. There's a mix of folk, country, alternative rock and more. Shades of Neil Young and Tom Waits. Melissa McClelland contributes vocals to the disc. This is the first in a weekly series where we spotlight a talented band or solo artist that hasn't been mentioned much on this blog. We hope this helps you discover the great talent that exists in the area. Our first choice is Burlington singer/guitarist Jerry Johnson. He does amazing, hard rockin', texas-style blues that makes you dance. 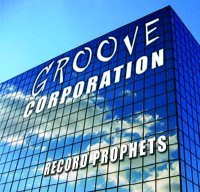 On April 4th, Groove Corporation released their debut CD, Record Prophets at an amazing party at the Corktown. This is a CD to play and boogie. Their funk, soul, R&B sound is infectious and will have you dancing. Consisting mainly of cover tunes (Jungle Boogie, James Brown's Cold Sweat, a swing version of KISS's Detroit Rock City, and more) - the collection also has three incredible originals by the band. The CD is currently available through their web site and will soon be offered at CD Baby. Remo Cino, who was laid off from Stelco in November, has written and recorded heartfelt songs about Hamilton steel industry's woes. The Hamilton mountain resident has posted them on YouTube. Click here for his YouTube page. Hamilton Place has been ranked once again as the number one entertainment venue in Canada by Pollstar, the concert web site. It is also in the top 50 in the world. The ranking are chosen by first quarter sales. 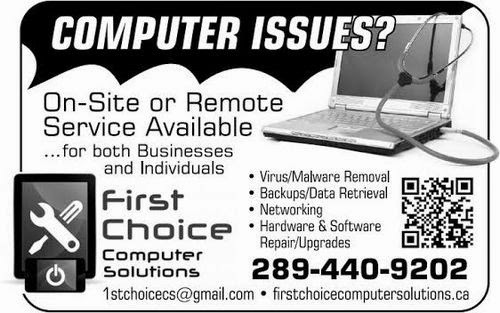 On March 27, 2009 hamiltonnews.com released the results of the their Readers' Choice Awards. 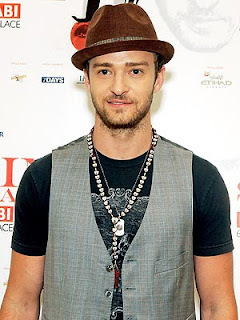 Pop Superstar Justin Timberlake certainly knows where to find great blues musicians. 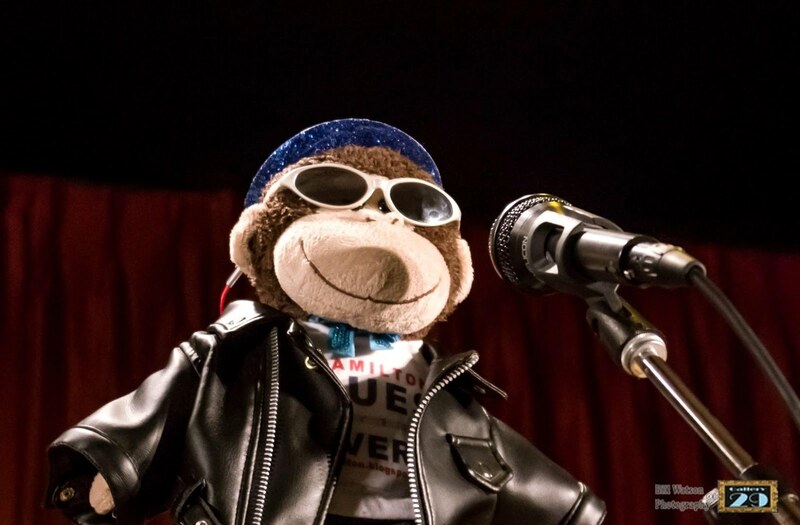 He'll be working with some Hamilton talent for his new blues CD. In a move that stunned the music world, Timberlake has turned his back on pop/dance music. "I'm sick of all the repetitive, cookie cutter, shallow, repetitive s#!+," he said. "I've been feeling down for a while now, " he added, "I didn't want the fame, the prestige, the riches, the groupies - so becoming a blues musician seemed to be the best choice." A Google search landed him at this very blog where he discovered the great talent that Hamilton and Burlington had to offer. To record his new CD, he recruited guitarist James Anthony. "This is a dream come true!" James said enthusiastically, "I have all his CDs, including his stuff with N Sync - not to mention all the posters on my wall!" James is joined by Dale Park on drums (returning to drumming just for this project), Michael Hickey (Trickbag) on bass, and Lou Campanella (TNT Bluesmen, Hammertones) on harp . Also in the band are Justin's rumoured love interest, Lily Sazz (Groove Corporation) on keyboards and Loretta Hale (Andre & the J-Tones) on trumpet (who some say is also seeing the pop star). This amazing band has already recorded two songs: "Britney Done Left Me"and "Wardrobe Malfunction Blues". As a transition from his old style to his new one, Justin has decided to re-record his mega-hit SexyBack as a folky blues song with the help of Alfie Smith. "I sing that song in the shower all the time!" Alfie exclaimed, "It'll be a privilege to finally record it." The album will be rushed into production soon to prevent illegal downloading. It should be out in late April. "Fools will think this is impossible," Justin explains, "But they'll see I can sing the blues with the best of them."